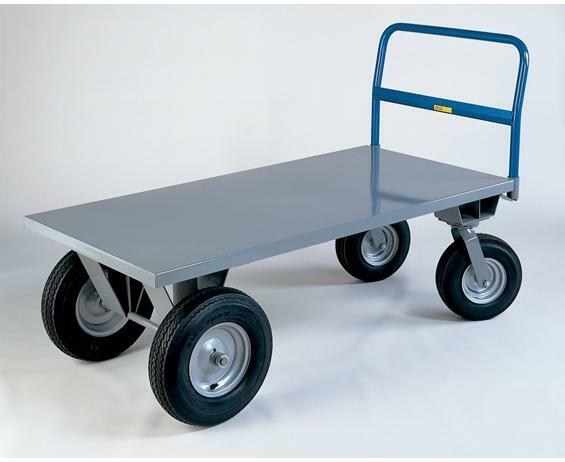 "Air Cushioned" High Deck Truck | The Rembert Company Inc.
Raised deck minimizes back strain. Rolls smoothly, evenly thanks to large tires. Handles loads up to 2500 lbs. Rolls easily over rough floors and obstructions, even when fully loaded. 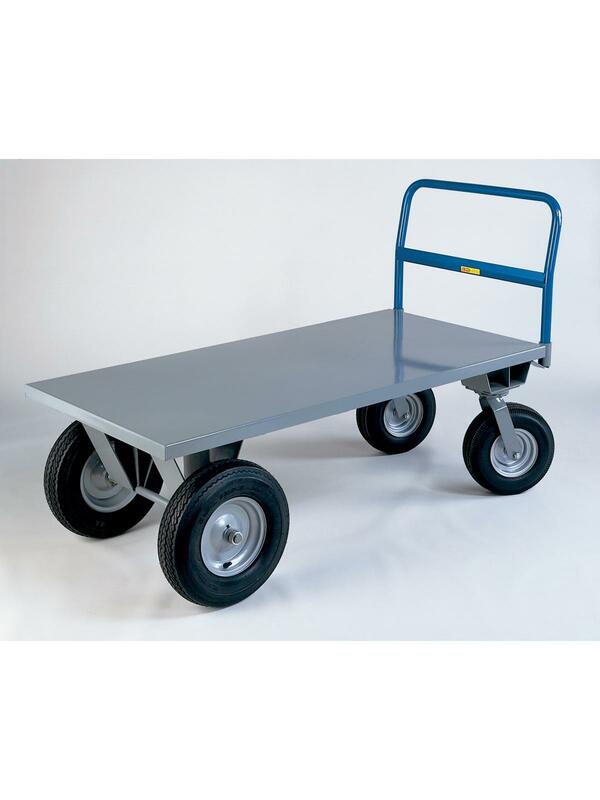 Heavy-duty, all-welded steel construction is designed for years of work. FOB Shipping Point.